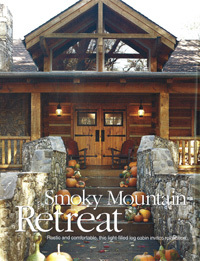 News and Articles about J. Scott Campbell Construction Company, Inc.
Having enjoyed vacationing at the Cataloochee Ranch in the Smoky Mountains of North Carolina for many years, Marsha Madorsky welcomed the opportunity to purchase property there to build her own summer home. For Floridian Randy Jones, the fourth time's the charm. 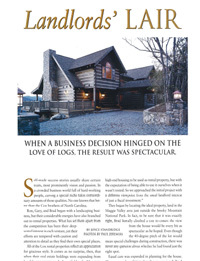 Randy built his first log home nine years ago. Then he built three more. Finally, he's created his ideal vacation home, complete with an indoor waterfall. Driving around the area and watching various construction projects under way, Brad came across Scott Campbell and his crew. Although they immediately hit it off personally, the professional relationship took longer. Quite a bit longer. "For 2 1/2 years, we would look up and there would be Brad, walking through whatever project we happened to be on. He would carefully examine every facet of the job, being sure that we were doing a quality job on every phase," says Scott. "No one could say he rushed into this!" Roasting marshmallows to browned perfection over a crackling fire, frolicking in crisp blue lake waters, hiking through nature's pristine flora and forming friendship that last a lifetime - the carefree days of summer camp are the stuff of life. And nostalgia is enough to make anyone want to recreate that perfect simplicity into a year-round lifestyle. Imagine how astonishingly beautiful it must have been, every year prior to 1950, to see the tree tops of the Blue Ridge Mountains, in summertime, completely covered by a snow-like canopy of white blossoms from the American chestnut tree. 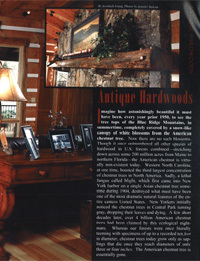 The Culbreath's Waynesville home, built by Scott Campbell of Campbell Construction, is an extraordinary showcase of the effects achieved through extensive use of reclaimed lumber. 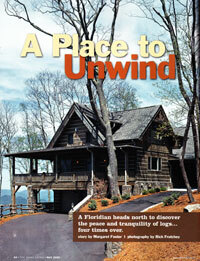 It is amazingly warm and well-built, with a substantial feeling that belies its new construction. For Denise and Scott Miller, vacationing in the mountains with their two sones provided a catalyst that led to a slower family pace and adventurous new roots. 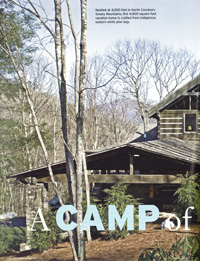 "We received a flyer in the mail about a few lots the Cataloochee Ranch was selling on the mountain above the sheep pasture," Denise says. 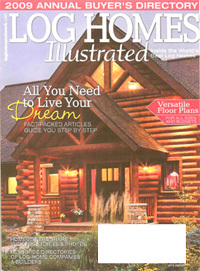 Scott Campbell of Campbell Construction had a 5,700-square-foot home built in Cataloochee area featured in the Log Homes Illustrated 2009 Annual Buyer's Directory. This is not the first time he has been featured in a national publication. 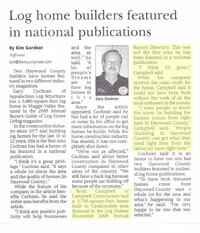 "I want people to know the talent (for building the homes) comes from right here in Haywood County," Campbell said. "People (building in Haywood County) can get what they need right here from the talent we have right here."